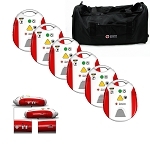 Prestan® AED UltraTrainer™ Single Unit with English/French Languages, 3 “C” batteries (installed), one set of Adult/Child Training Pads with unique Pad Sensing System, pads storage tray, instructions and carry bag. 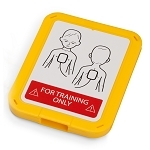 The Prestan AED UltraTrainer™ offers features not found on any other universal AED trainer and is the most accurate representation of how current AEDs in the marketplace perform. This compact and lightweight unit will give students a realistic training experience with training pads that sense when they are placed on a manikin. In addition, the pads are preconnected and voice prompts are clear and calm. Instructors can customize their training classes with options to turn on or off the compression metronome and/or the “give breaths” voice prompt. 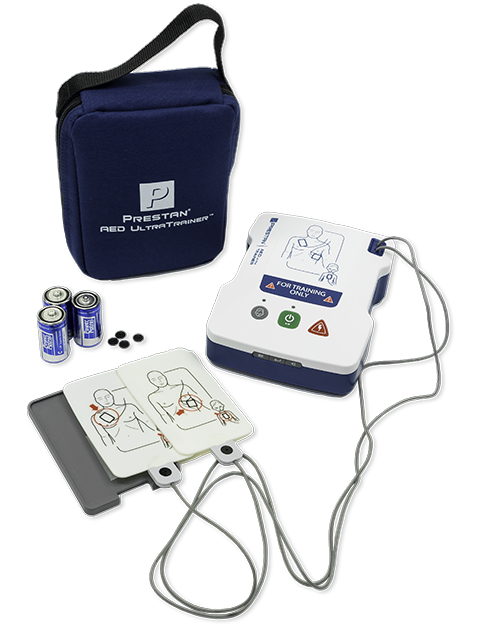 With a 3-year warranty and durable long-lasting pads, the AED UltraTrainer was built to last.